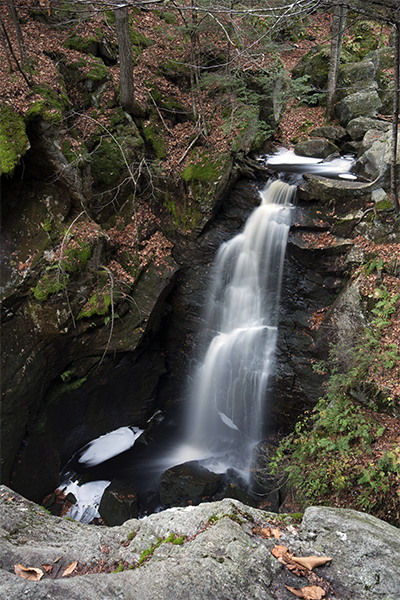 The most interesting part of Royalston Falls may be the cylinder-shape gorge that the water flows down into. 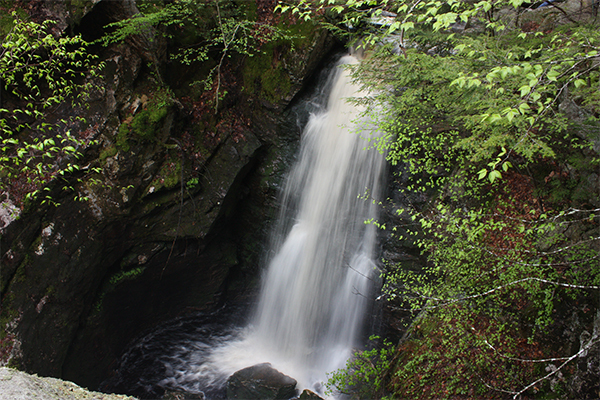 Some have speculated that the gorge was created by a retreating glacier from the last Ice Age. 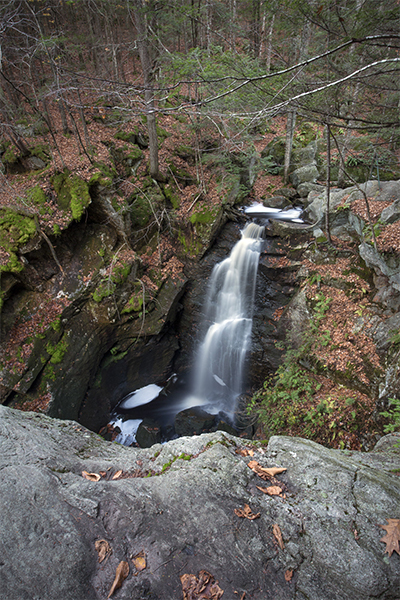 It seems doubtful that the normally calm waters of Falls Brook could have created such a rugged place through erosion, but streams and rivers change over time and therefore this is the most viable explanation. The falls itself is also quite a treat. 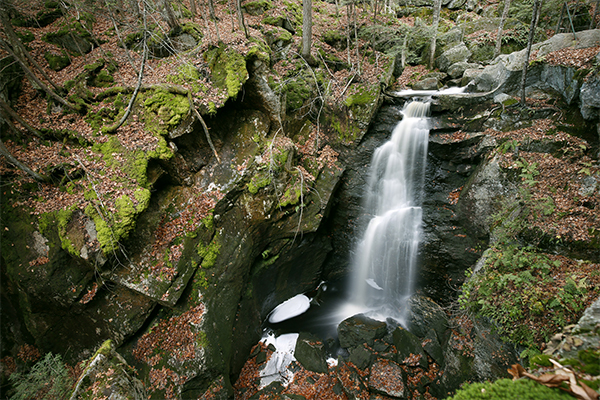 This 45-foot plunge drops off a flat rock ledge. You can either view the falls from behind cable-wire safety fences or by standing on a firmly planted rock at the top of the falls. You can also scramble your way downstream to the brook and wade your way upstream for wonderful new views of the gorge and falls, if you are comfortable in doing so. 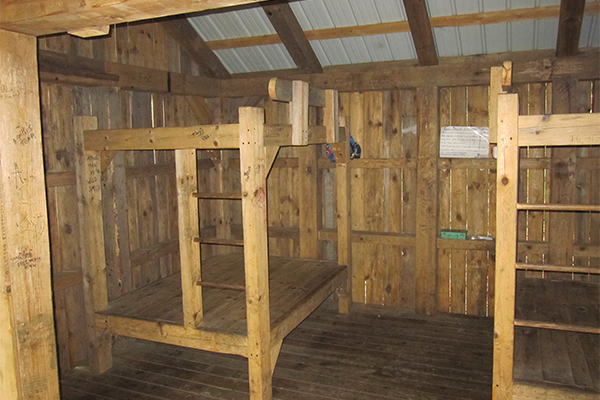 To make the most of your visit here, consider staying overnight at the wooden hikers' shelter that sits 0.3 mile above the falls. 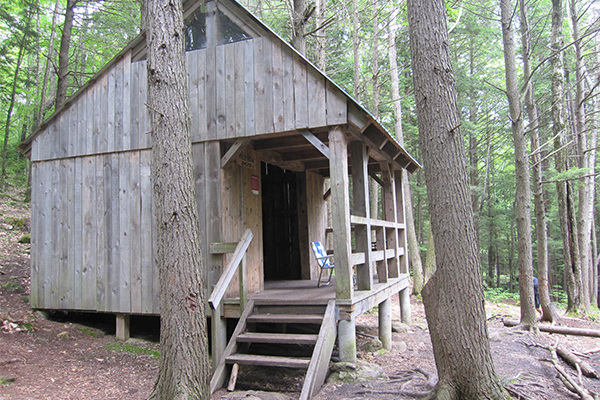 This shelter is managed by The Trustees of Reservation, sleeps up to 12 hikers, and is free to use (however, it is first-come, first-served). 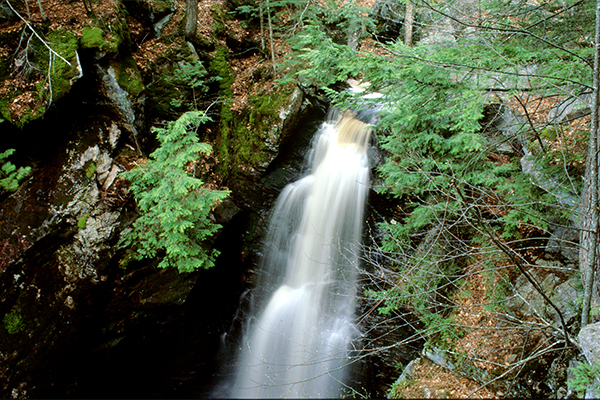 Royalston Falls is one of three waterfalls located on properties within the town of Royalston that are managed by the The Trustees of Reservation. The other two waterfalls, Doane's Falls and Spirit Falls, should be added your itinerary if time permits. 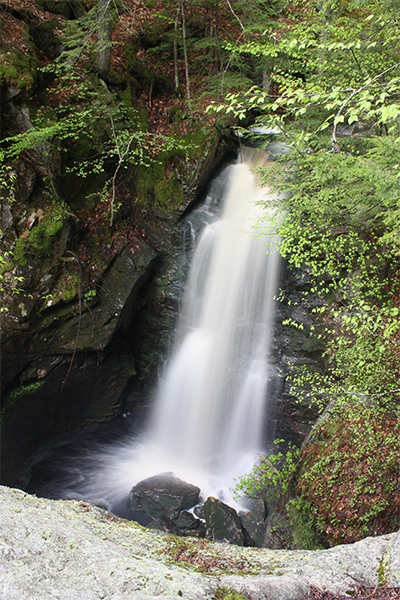 Royalston Falls can be visited as part of a hike along the great 22-mile Tully Trail loop. Here is a trail map.